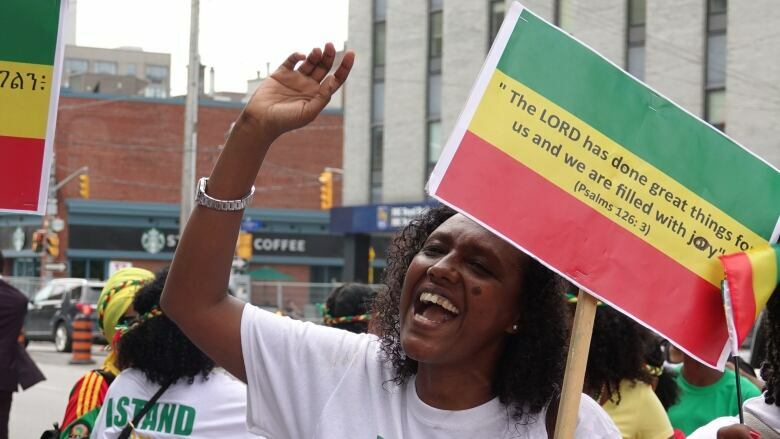 Hundreds of Ethiopians and Eritreans marched through the streets of Ottawa to celebrate what they hope is the end of a 20-year border war between their home countries. The border between the two countries fell last month, marking the end of a 20-year border war between the two East African nations that resulted in tens of thousands of deaths. 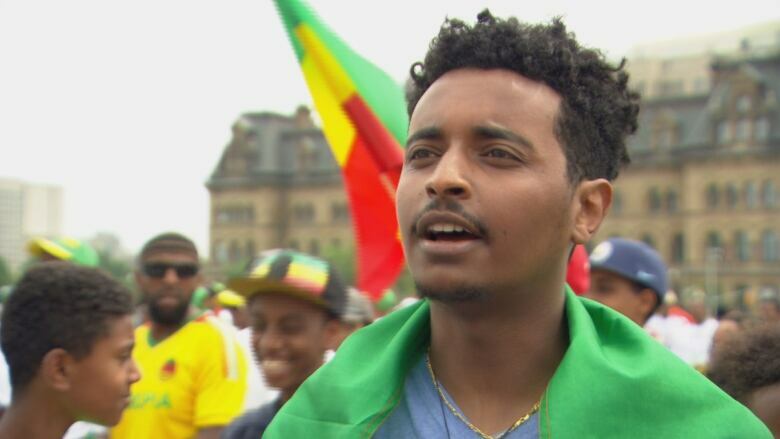 For years, Ethiopian and Eritrean nationals in Ottawa have been marching to Parliament Hill to condemn what was happening in the region. Now instead of cries of anguish, the crowd sang songs of celebration and announced "our difference is our beauty." "About four months ago Ethiopia was on the verge of civil war," said organizer Alem Legesse. "We want to show the Canadian public about the change in eastern Africa." The crowd blocked traffic on Elgin Street between Nepean Street and Laurier Avenue on their way to Parliament Hill to draw attention to their cause. The crowd credited Ethiopian Prime Minister Abiy Ahmed for the budding peace back home. They sang his praises for restoring diplomatic relations with Eritrea and major reforms in the country. Ahmed took office in April and quickly freed journalists and opposition figures from prison, opened the state-run economy and unblocked hundreds of websites. "For 27 years we don't have any democracy, any freedom there," said Tsehay Balacha, whose family still lives in Ethiopia. "We are so happy." Ahmed's peaceful message of love resonated with those who gathered in Ottawa to celebrate the changes. "Things are getting better for my people," said Bruck Wubete, a 21-year-old international student from Ethiopia. He hopes one day his home country will reflect the values of his new home in Canada. "We want prosperity. We want democracy. We want people to be equal," Wubete said.